See more objects with the color black grey dimgrey darkolivegreen or see all the colors for this object. This is a Fragment. It was company: F. Schumacher & Co.. It is dated 1920s or 1930s and we acquired it in 1979. 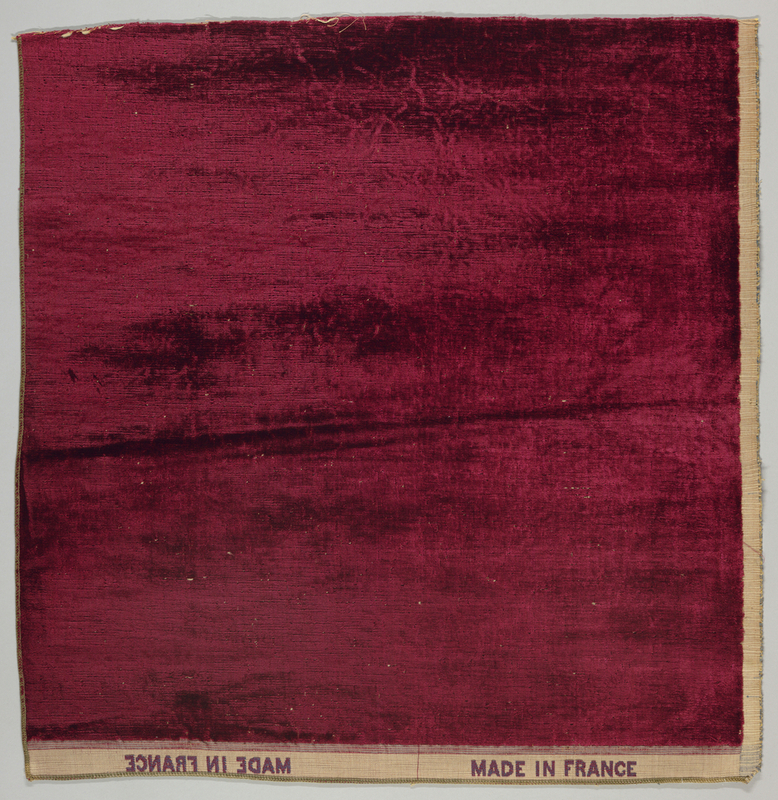 Its medium is silk, cotton and its technique is supplementary warps in a twill foundation (velvet). signs of age created by controlled 'breaks' and by a weft of uneven thickness. It is a part of the Textiles department.